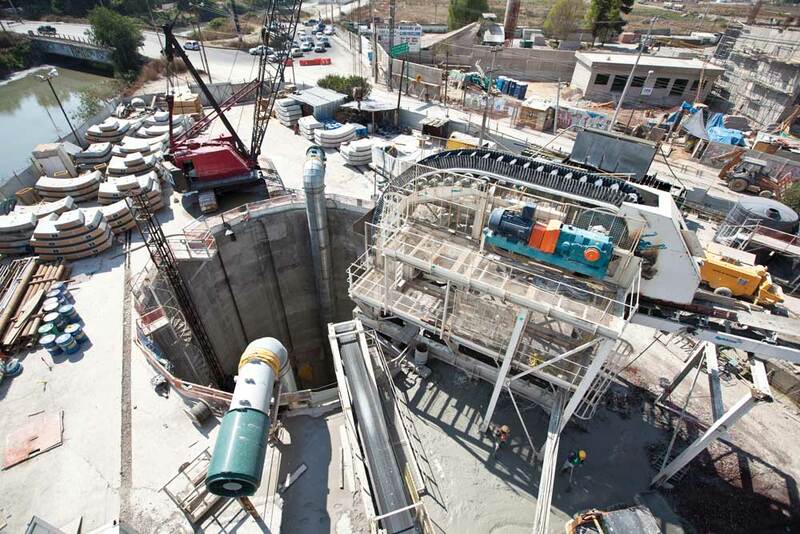 Tunnel boring machine excavation rates have been a hot button issue in our industry recently — specifically, speeding them up by multiple factors of 10 times or more. But speeding up a project is not a simple prospect, and technology to achieve faster excavation is often incremental. “What really speeds up a project is operational excellence. It’s not glamorous. It’s the day-in-day-out operations where you can really make the difference,” said Robbins Director of Engineering Brad Grothen. That observation applies not only to the tunneling operation, but also to all the operations required to complete a project, from planning to logistics and beyond. Consider that increasing the excavation rate may not be the only way — and indeed may not be the best way — to speed up a project schedule. TBM excavation often makes up around 25% or less of the total time to complete a public works tunnel. 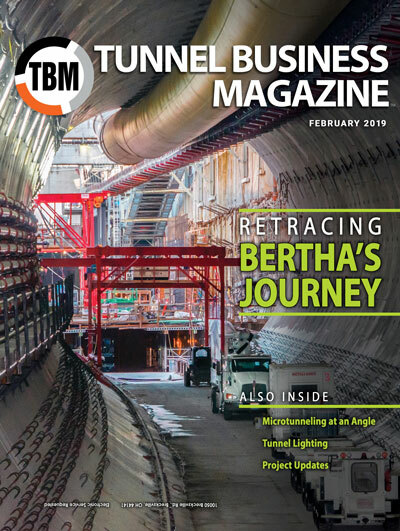 Therefore, even if excavation rates were increased by several times what TBMs are currently capable of, it wouldn’t significantly speed up project delivery. Shortening the decision-making process or streamlining the design process is much more feasible than creating a “super-fast TBM” and would have a bigger impact on the project schedule as well. “Design-build is a contract structure that shortens the overall time frame compared with design-bid-build. This is because the design is done by the construction team and it allows for optimal design, which improves constructability. Often you can start construction while you are still designing,” said Elisa Comis, Associate for McMillen Jacobs. TBMs are fast, and they’ve been fast for decades. In fact, 50% of all known TBM world records were set more than two decades ago. Much of the seeming lack of progress is illusory – it has to do with the fact that modern tunnels are being built in ever more difficult geology, while more stringent health and safety standards put necessary limits on the excavation process, among other things. Today’s TBMs are capable of boring in harder rock, in higher water pressures, in mixed ground conditions and a host of other environments that would have been impossible in the 1970s and 1980s. 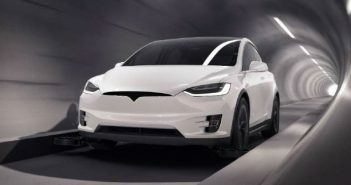 And they do it while performing well; indeed, at much higher rates than conventional excavation (typically two to three times faster than a drill-and-blast heading. The below chart is a good illustration of just how far TBMs have come in recent years. To increase instantaneous rate of penetration, ground conditions and machine design come into greater play. “The right machine and the right geology are crucial, along with good maintenance and good operation to minimize downtime,” continued Grothen. Geology is key to whether advance rates can be significantly improved. Even a customized machine with streamlined logistics will bore more slowly in fractured volcanic rock with significant fault zones than in competent sandstone. Setting the excavation schedule requires a close look at geology and the excavation rates of recent projects in those conditions. And, of course, not all geologies are created equally. “The kind of geology that has produced the most world-record production rates is non-abrasive, homogenous sedimentary rock like Chicago limestone. A lot of records have been set on the TARP project in that city. The geology is consistent and wear on cutters and cutterhead is minimal. Even though the project was located in a major urban area, with limestone you don’t have the EPB/soil concerns of settlement and heave,” said Roby. The ability to improve advance rates also depends on the type of TBM and ground support required. “In hard rock, machines already set world records. There is more opportunity for improvement of instantaneous rates in soft to mixed ground. As ground conditions deteriorate and segments are required, that takes time. A Main Beam hard rock TBM is very fast because it doesn’t need to stop for this type of ground support. A Double Shield hard rock TBM can bore and line with segments simultaneously. But for Single Shield machines and soft ground machines, the tunneling process simply takes longer,” said Grothen. Implementation of design improvements to speed up advance is challenging for both hard rock and soft ground machines. “On hard rock TBMs, we don’t have metallurgy that will allow us to load disc cutters higher so the only way to excavate faster is to rotate the cutterhead faster. But today, we depend on gravity to unload the muck buckets with each rotation of the cutterhead. If we speed up the cutterhead, the muck will not drop from the buckets, so we would have to direct it aft and find a new way to collect it. Unfortunately, the speed of the cutterheads is also currently at the limit of the relative speed specifications for the main seals passing over the seal surface, and the mechanical face seals in the cutters are also operating near their speed limit. Even now we see overheating/cooling issues on bearings, seals and cutters, and all of that will be exacerbated with higher cutterhead speeds,” said Roby. By contrast, when boring in soft ground using EPB TBMs, the penetration rate is limited by material flow and additive permeation. Boring at faster rates could cause heave in front of the TBM followed by subsidence at the surface. A truly significant change in advance rates would require a change in the mechanism of excavation — no short order. It would require a better way of holding pressure than the screw conveyor can currently achieve. “The greatest number of soft ground (EPB and Slurry) TBMs are operated in urban environments, through the middle of cities. Subsidence and heave are a constant worry, and this requires a lot of operator attention and adjustments of the machine settings as well as the ground conditioning recipes and injection variables. 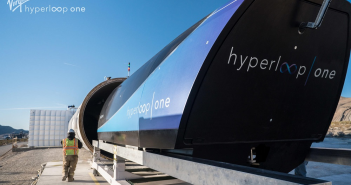 I’m sure some years in the future, with a great deal of research, some of the operator’s decision-making could be replaced by artificial intelligence, allowing the decisions to be made quicker. But we are talking about a great number of variables that must be adjusted and the cost of failure could be an entire high-rise office or apartment building coming down. I think the risks are too great to make improvements in the process in any but the most incremental way,” said Roby. Scheduling of crew and materials is always important, but that importance only grows as tunnels become longer. This is doubly so if using muck cars. For this reason, using continuous conveyors for muck removal is more efficient, as the removal process does not need to stop for personnel and material movements. In fact, at least 75% of all TBM world records were set while using a continuous conveyor for muck removal. Applying a Concrete Lining: Continuous concrete lining can be done concurrent with boring in many cases. This type of lining eliminates the separate operation of lining a tunnel with segments. Waterproofing membrane can be applied with a membrane gantry if needed. Eliminate regrip time: When setting segments and thrusting off rings, elimination of regrip time could be key to increasing advance rates. The designs for this are not new, and date back to the EPB TBMs used on the Channel Tunnel in the late 1980s. The machines were designed with longer stroke cylinders to ensure continuous boring rather than sequential boring. New innovations such as helical segments are also promising to do this through a simple change in segment architecture. As for the future of excavation, rates will continue to increase, but not without some qualifiers. “Ultimately it is a human resources issue in our industry. We do not have enough people to fill open positions. We need good, trained people, and we need to grow interest in a new generation of tunnellers,” says Comis.